This system let’s you track jobs during each step of the process. In the top right hand corner of the project screen each job will state the status of the project. This status will be important in tracking progress. 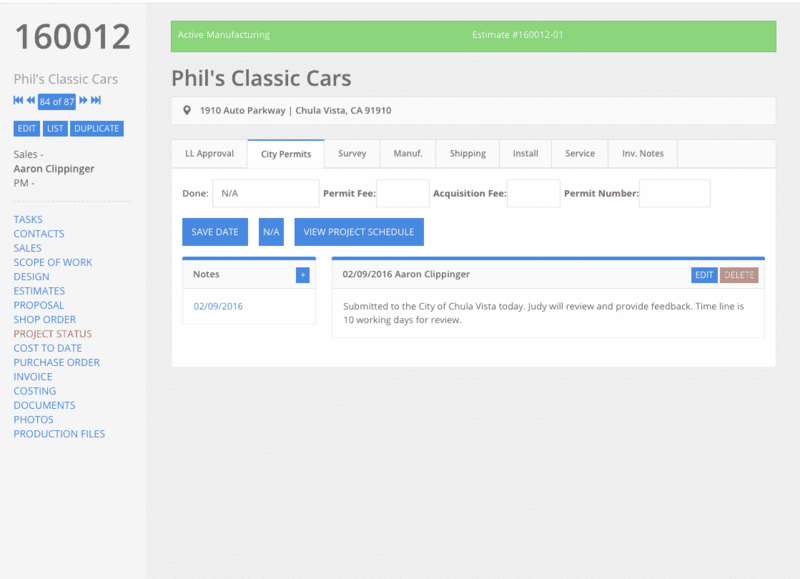 You can see how many projects are in the pending status, Landlord approval, permits, manufacturing, install, or ready to be turned in for billing by running simple reports. Each one of these steps will help prevent projects from falling through the cracks. When sign companies get busy, projects from time to time will get overlooked. Not with this system. You can track and run reports to know exactly what is going on with each and every project.